The bottle was opened Nov 8/2017 and the sample was poured the same day. Coming to Connosr has been an amazing journey of discovery for me. I’ve always liked bourbon/American Whiskey, but I used to rotate between Jim Beam White Label, Jack Daniel’s Old No.7 and Bulleit without really giving it much thought. Times have changed. I don’t know anything about OGD 114 other than the fact that @Nozinan told me to try it and gifted me a sample. So this is about as close to a blind tasting as it gets for me. Nose (undiluted): very fruity at first, cherry blossoms, a bit of vanilla and brown sugar (though much less than I expect from a bourbon) developing to oak tannins and rye spice in the background, maybe just a hint of mint at the tail end. There is very little alcohol prickle on the nose. I would never have guessed this was bottled at 57% ABV. As this sits in the glass, a slightly vegetal note appears in the background. Dried leaves, perhaps. This is a terrific nose. Palate (undiluted): WOW !!! There’s that 57% ABV ! Very hot arrival, though not unpleasant at all. It isn’t “spiky” (like a hoppy beer) as much as it delivers a big, bold and warming wallop. Lots more cherries. Sour cherries, with a bit of vanilla frosting. The rye spice is present, but it isn’t the star of this show at all. Finish: medium-long with some toffee notes popping through and the Oak tannins returning. There’s a slight tobacco/leather note peeking through at the very end of the finish. Adding water pushed the fruity notes way back. Fresh corn (still a little green) pops out of the glass. The nose actually seems to be “hotter” with the addition of water. Oak and tobacco notes next. The cherries are still there, but they’ve been pushed way back. Given some time to rest (5 minutes or so), the fruit comes back, but doesn’t dominate the way it did at full strength. The arrival on the palate is more typically bourbon-esque with water. Toffee, vanilla and oak notes dominate with the fresh corn next and that lovely fruity note pushed way back. After some resting time, the fruity flavours really feel like they’re getting muted, relatively speaking. With water, the finish becomes far more vegetal (fresh tobacco and Corn stalks?) though not much shorter. I still prefer this one at full strength. This is a surprise for me. I have no idea what this costs, but it is excellent. I would not hesitate to purchase a bottle of OGD 114. Wine-searcher.com reports current average US price for Old Grand-Dad 114 as $ 28 plus tax. @Victor I just wish there was a way to coax some into the LCBO... or better, Alberta, where the price might be reasonable. Word on the street was that good ol' JB was considering discontinuing this popular and affordable high proof bourbon. Thankfully that didn't come to fruition. I picked this bottle up in Nashville for $24.99 + tax. Bottle is 3/4 full and been opened about 2 weeks. Drinking neat first then adding a cap full of distilled water and comparing. Nose Neat: Plenty of grain here. Rye first then corn. It's like if you took half a slice of rye bread and half a slice of southern corn bread, crushed it up with some spices and then snorted them together. After that a little chocolate/caramel/peanut butter sweetness comes to the party. Finish Neat: The finish is very long and some new buddies come to play. Specifically nuts! The finish is super nutty. Pecans, walnut and peanut, all seasoned with that rye spice. Really sticks in the mouth and is the most enjoyable part of this dram. Palate w/water: A bit less spice (but still plenty) and otherwise unchanged from neat. Finish w/water: Again, less spice and more sweetness. The mellowed levels of spice make the nutty flavors slightly more discernible. Finish is still the star of the show. Overall: This is a big, spicy bourbon with a lovely finish. As far as neat/with water, I guess it depends on your preference. I imagine people new to high proof bourbon or people who enjoy the lighter sherried scotch might be a little averse to the punch in the face from the high abv and spice. But, if you like that kind of thing then keep this neat. I feel like this has a good spot in the market. Not many decent high proof bourbons available for less than $30 that I'm aware of. And I guess the guys at Beam Suntory agreed with me as they decided to keep this one around a bit longer. Keep on kickin' OGD! @Nozinan, the 9 year age statement has not yet been removed from Knob Creek Single Barrel Reserve. That is another reason to like it, of course, and to buy it in the current time frame. I expect that the age statement will be removed in the next couple of years, for the same reasons it was removed from the standard Knob Creek Bourbon @50% ABV %. I think that the current KCSBR label is quite ugly. The bottle with which they started the brand had been nice-looking. 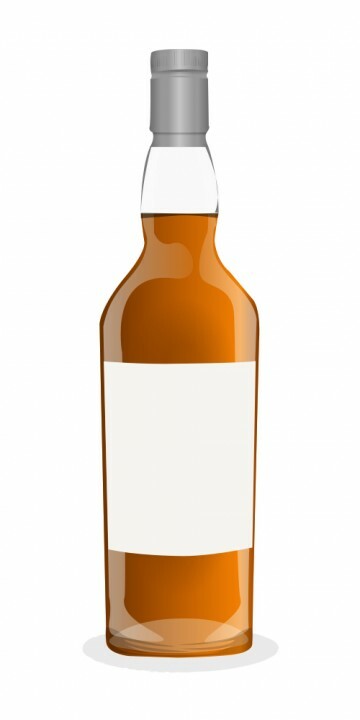 But the liquid in the bottle is more important than the appearance of the label. And who exactly is Old Grand-Dad? Why, he is Basil Hayden, of course, who made bourbon with a higher percentage of rye than most mash bills at the time. His grandson, Colonel R. B. Hayden, started the brand in 1882 in honour of his grandfather. I believe there are three bottlings: the standard at 86 proof, the 100 proof and this one, the 114 proof. This sample was generously provided by @Nozinan. The colour is a medium copper. On the nose there is tons of cigar ash, with sweet corn, red liquorice, toffee and mint, all surrounded by heavy oak. Dark chocolate. Big vanilla. Dried apricot. Black cherries. Quite fruity. Water adds a layer of wood smoke. Everything you're looking for in a high-proof bourbon. On the palate you're hit with the mouth-puckering alcohol heat, with tons of oak, creamy dark chocolate and massive spice. Very meaty. Lots of herbs, especially mint and sage. Fantastic, but needs water to take the alcohol and highlight the oak and caramel. The finish is, again, very oaky, with cinnamon, cloves, baked apple and chewy leather. This is great stuff, a big fat bourbon that can slap you silly like your grandpappy might have back in the day (well, hopefully he didn't). Great review! Only thing missing is price. You can get all this for as low as $19.98. With shipping to Florida, it came out to $25 USD per bottle. For this big bruising bourbon. Interestingly, although I get full flavour out of this one and I really like it, I get almost none of the flavours in your review. I get a lot of vanilla, brown sugar, caramel. I don't find it complex, just full of flavour. I couldn't remember what you had paid, so I didn't mention it. I get those notes that you mention as well - and after I posted the review, I started noticing a more pronounced rye grain note in the background, which I hadn't mentioned - but I did find it surprisingly fruity. I got this through @Victor, after he discussed some of his love for it. It costs $25 in Maryland - to think that a good, cask strength bourbon, goes for that much - wow. If you can get it, I suppose. It is produced by Jim Beam. A dark, rather dense nose at first. A bit of musty oak, corn husks, dry forest floor, orange peel, stewed apricot, browned butter, and slightly sour corn. The palate is big, full of sweet corn – a huge hit of corn, in fact. Molasses, lots of black tea, and the rye is present and is floral – it is integrated beautifully. It comes in with caramel, and fades to spices. Big, rich whisky. Finishes with apple seeds, brown sugar, a bit of reed-marsh earthiness, and more corn. Not the most amazing whisky, but incredibly enjoyable. The quality of the distillate is evident. If I could get this for $25…I would be stocking it regularly. However, it seems this one might fade away…it manages the proof very well. I quite like this style of bourbon. Beautiful oiliness too. On the subject of 'Cask Strength' with respect to Old Grand-Dad 114: OGD114 is clearly not barrel strength because it is a large batch whiskey, and consistently sold at a defined exact whole-number proof/abv. But, as relatively young bourbon, presumably 4 years old, 57% is probably very close to the true barrel strength. Calling Old Grand-Dad cask strength/barrel strength is probably only very slightly incorrect. By contrast, Wild Turkey Rare Breed, which averages out with whiskey almost certainly a couple of years older than OGD114, is frequently sold at 52-54% ABV. @JasonHambrey, I am guessing you are calling this "entry level" because it is not expensive. I don't really think that there is such a thing as 57% ABV "entry level" whisk(e)y. Getting Old Grand-Dad 114 at under $ 30 is one of the great buys available. I don't expect it to last long. It will either be discontinued, increased 50-100% in price, or morph into a specialty product. OGD114 was discontinued where I live 2 years ago. It surprises me how short-sighted people are. People take OGD114 for granted. They shouldn't. I fully expect it to vanish one day, probably soon. Nose: Deep brown sugar and molasses. Rubber boots and engine oil. Definitely a dark mellow sweetness balanced with nice earthy notes. There is also a sharp rye spike when you look for it. I am getting sweet corn here as well as shoe polish. Very interesting. This is a harsh and difficult nose. I can see why some people are put off. I rather like it. It does get a bit bitter, but not bad. However, compared to the ECBP and Stagg Jr. this is thin, young, and sour. Water only brings out the intensity of the nose. Taste: Sweetness on the tip. Nice brown sugar sweetness (not too sweet) and it singes the tongue. It develops into a searing rage of fire, oak, molasses, and salted pork. Finish: Big wave of sourness (more like sour grapes). It is a huge wave . . . . with a second big wave following it a few seconds later. Very long and warming with huge power . . . sweet apple syrup coated roasted pork bbq on a spit. There is a nice rye spice that is really present on the finish. There is way more sharp rye then the Stagg Jr. or ECBP. Balance, Complexity: Wonderful complexity on the nose and finish, but it misses on the palate. I love the intensity. But surprisingly the nose is not as sharp as the Larceny. It has a depth and power that Ancient Ancient Age 10 Star lacks. So I have to give it points for all that. Comparing it to ECBP and Stagg Jr. just isn’t fair. Aesthetic experience: I kind of like this bottle, but it does look a little cheep. However, I LOVE the ABV for the price. And the name is just cool. Conclusion: There are rumors that this guy will soon be gone. That will make me sad indeed. For the money to ABV you just can’t beat it. What else can you drink at “navy proof” for around $20? This is a hard one for me to score, but it is easily a solid B if not a B+ for the price to ABV. 87.5 and I’ll round it up to 88. Rumors that this will soon be gone!?... Say it ain't so!! If that is indeed true, I will definitely be purchasing more than a few bottles of this stuff. Since being introduced to this juice by Victor, the OGD 114 has become one of my all time favorite whiskies... May I ask where you've been hearing that they will stop producing this? Old Grand Dad 114 offers little to recommend it on the label--plain, Romanesque arch rimmed in gold and filled in black with bust of an old gentleman in the background with 114 emblazoned across his visage. Just above him is a semi-cheesy faux wax seal stating "114 proof." The bourbon is the color of good southern iced tea before the ice is added. The whiff out of a freshly opened bottle (corked with plastic top) is heavy on vanilla, with fresh cut hay, overripe fruit, and a hint of tobacco with the threat of alcohol behind it all. The first taste, neat, is of rich caramel and more vanilla-- with no over abundance of alcohol burn considering the full flavor present. You want to say it has a medium finish, but the best of the flavor lasts a very long time, warming your taste buds and reminding you how rich the initial flavor really was. The caramel and vanilla mingle with charred oak and the tobacco arrives just before the flavor fades away. Tobacco and hay are stronger when you add one ice cube or a splash of water (I prefer the ice cube). I have decided I like it better than my longtime favorite, W.L.Weller107, because it manages the high proof better and delivers more deep flavor than the 107. I am in love with granddad and I am not ashamed! Welcome, @Maestroso, to the club. Old Grand-Dad 114 is Fun, Fun, Fun, Whiskey! Even my second sister, the one who only occasionally likes whiskey, really loves OGD 114. I would call Old Grand-Dad 114, "Allegro con brio". It is 'full of sound and fury', but it is signifying something. And it is also very inexpensive for the taste punch that it delivers. There are a few whiskeys that just put a smile onto my face just thinking of them. This is one of them. Oh, and @Maesstroso, Old Grand-Dad 114 was my first Connosr review, too! Taste: Big flavor which comes on strong with rye spiciness. There is a lot of oak and vanilla flavor, and high-test alcohol punch when consumed neat, which I prefer. Finish: lengthy finish with a lot of oak and maple flavor. There is also some vanilla and a hint of citrus. This "finish" leaves your mouth frazzled and up in the air, and is more for the thrill-seeker than for the sedate aesthete. Balance: This bourbon makes a big statement with a high alcohol punch. If you like high rye bourbons and high proof, which I do, then you will probably like this. But make no mistake about it, this is kick-you-in-the-face bourbon! I really like this stuff, though for those of a refined palate it would have to be called something of a guilty pleasure. @dbk, thank you for your kind words. I know that the mashbill for Basil Hayden's has a very high rye content, as do all of the OGDs. I do not know whether or not they are identical. It would be logical and economical for them to be the same, since they are all now Beam ("high rye mashbill") brands. OGD was a pre-existing brand acquired by Beam, whereas I believe that Basil Hayden's Small Batch was developed by Beam de novo. I am uncertain as to whether Beam first acquired OGD and then used the pre-existing OGD mashbill when developing BH or whether they developed their own new independent formula. @cjkocher, Old Grand-Dad 114 is one of those whisk(e)ys which I like far more than the "87" rating which I gave to it two and a half years ago, when I initially did this review. It loses a few points on finesse here and there, but for fun, this one is a full 95,...you might say, a Screaming 95. For me and for my little local group of whiskey-girls (see comments above), Old Grand-Dad 114 is the unchallenged best good-times party whiskey. I kind of hope that this hangs around forever, but never gets TOO popular, because I can easily see a 50-75% increase in the sales price occurring for Old Grand-Dad 114 at any time.